At the time of her graduation with a journalism major and a sociology minor, young Zeina Tawakol could not have predicted that she would become “The Dynamo of Aswan Heart Centre”, as Sir Magdi Yacoub, the legendary Egyptian heart surgeon, likes to call her. 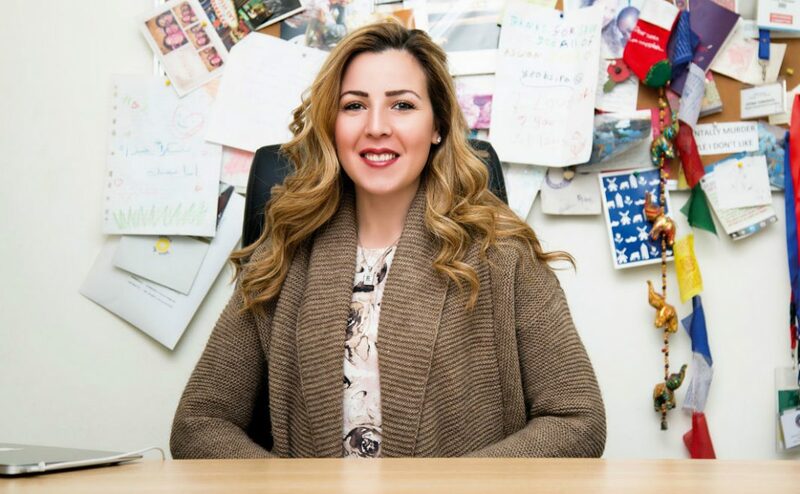 Through her work as the Director of Operations of the Aswan Heart Centre at the Magdi Yacoub Heart Foundation, she has become an inspiration for young people hoping to achieve big things while helping others in the process. Tawakol spoke to eniGma’s Shereen Kamal about her life and career. How did you develop an interest in pursuing this career path? When I was growing up, my grandmother was diagnosed with cancer. I was very close to her. She passed away when I was a sophomore. She told me that the reason she lived with cancer for twelve years was because we were fortunate enough to afford to offer her the best medical care; there were so many unfortunate people who didn’t have the means to get the medical care they needed. She wanted me to try and help them. So I started writing to raise awareness about health care, diseases, and social problems. I worked for the Anti-Cancer Team at university, where I was president, and we raised a lot of awareness. Then, two or three months before I graduated in 2008, I was having dinner with some distant cousins, and one of them was a cardiologist. He asked me what I planned to do after graduation and if I would be interested in working in Aswan. He explained that Sir Magdi Yacoub had told him about his intention to open up the Aswan Heart Centre. I decided to go to the interview and see what they have to offer. I went in a room full of professors, including Sir Magdi Yacoub, and he asked me about my work with the Anti-Cancer Team. I explained how I was part of the team that collected 550,000 Egyptian pounds to do a breast cancer early detection unit in Banha. They hired me on the spot as a coordinator. How has working with a visionary like Sir Magdi Yacoub change your life? My life completely changed. Back in 2004, when I was just a freshman at AUC, my life preferences were completely different. I was more interested in clothes, cars, and going out. I wasn’t mature enough. After I started working for Sir Magdi Yacoub, I’d like to say I’ve changed for the better. My understanding for life changed. Sometimes you just forget how fortunate you are. I came to realize that there’s so much more to life than the social bubble that we’re living in. There are people who are less fortunate, but are very thankful for what they have. With all the travelling and long working hours, how do you balance between your personal and professional life? After graduating, you can’t have the same lifestyle of juggling different groups of friends. You choose your closest bunch and those are the ones you try to meet in your free time. But it’s hard, because of the amount of travelling I do. I spend one week every month in London. I try as much as I can to maintain a good relationship with my family, but I know that when I start my own family, I will have to slow down the pace because I will have more duties towards my husband and children. I don’t have a routine job at all. I wake up early in the morning and I take my dogs out. Then I get dressed quickly and go to work. I come in, check my e-mails, check my never-ending to do list, follow up on things, make some phone calls, and finish around five or six. If my bosses are in Cairo, I will probably stay till around midnight. What is the project that you’re working on presently? Right now we’re finalizing our third building in Aswan. Hopefully, we’re going to be opening in March. I wish to work in reforming public health care. I believe Egyptians have the ability to work within a system and to perform greatly. I really feel bad for all the public hospitals and the people who can’t get proper medical care. It’s a human right to have good health care. Career-wise, I don’t see myself leaving this job any time soon. There’s also New Aswan in New Aswan City, where we are now strategically thinking about building a bigger hospital to accommodate more patients.